New: Syria and Iraq Genocide Relief bill gutted in Senate by one Senator – Why?! Update: Will Iraq continue to let us bring aid to Christian refugees in Kurdish region? HR-390 gutted by Senator Corker: The Iraq and Syria Genocide Relief and Accountability Act of 2017 (HR-390) which passed in the House without one dissenting voice and was supported by many relief agencies and social conservative organizations, has been transformed by Senator Bob Corker into a Russia-bashing bill that has little to do with genocide and offers no immediate aid to the Christian victims of the Islamic State (ISIS). Senator Corker, who authored the sanctions bill against Russia earlier this year, has crossed out every single line of the simple anti-genocide language in HR- 390 as authored by Congressman Chris Smith. Corker has transformed it into legislation to establish a worthless commission called the “Syria Study Group.” While Christians and other victims of genocide die, his “group” will work on a final report to be submitted by November 30th, 2018! The original purpose of HR-390 author Congressman Chris Smith was to bring aid as quickly as possible to the victims of genocide perpetrated by the Islamic State. It required no additional funding — just redirected some existing aid to serve the victims of genocide first. Also, the original text of HR-390 would place the victims of genocide in the front of the line for immigration to the United States – something that would cost no additional money, just change procedures in the existing system. Under the Obama Administration, Sunni Muslims from Syria were at the front of the line, with Christians rarely included. Most of the new language substituted by Senator Corker concerns the Syrian government, Russia and Iran — with little mention of the victims of genocide specifically named in the original — the Christians, Yazidis and Shia Muslims. The Islamic State (ISIS) is Sunni Muslim. The Shia Muslims are now totally excluded because of Senator Corker’s love for Sunni Saudi Arabia, and perhaps to honor the Kingdom’s desire to eradicate Shia Muslims from the face of the earth. Iran, being Shia Muslim, is of course singled out to blame for the Syrian civil war which was actually begun with mercenaries and weapons supplied by Saudi Arabia. And Saudi Arabia is of course completely and intolerantly Sunni Muslim. The only mention of humanitarian assistance in the Corker version of the bill comes in Section 7, which is wordy and vague, with the State Department and other agencies deciding who will receive aid distribution. This “Study Group” will have eight members appointed for the “life of the group.” The selection process could not be more complex, and will slow down the establishment of the group as well as hold up any true investigation that would bring about results. The Corker language states that the Secretary of Defense, the Secretary of State, and the Director of National Intelligence must each designate an officer as a “liaison” to the Group. This will be a full-time endeavor for the assigned members, and office space will be required as well as communications equipment. Of course, “fact finding tours” will be needed, probably to interview “refugees” now living on the French Riviera. And all of this will be done with smoke and mirrors, since the bill requests no funding for the “Syria Study Group.” The bill states that the various departments involved will supply the funds. Right! The original purpose of HR-390 was to aid the victims of Islamic State genocide … but Senator Corker’s version of the bill downplays aid and focuses on military and economic measures. In the Corker version, the Defense Department and the national security agencies play major roles. As this new commission or “Study Group” chugs along eating up money between now and November 2018, the United States will continue to sell bombs to Saudi Arabia to drop on schools, hospitals and funerals in Yemen. The disgusting human rights record of Saudi Arabia will be ignored in favor of arms sales, despite the fact that the royal family of Saudi Arabia makes President Bashir Assad of Syria look like someone who should receive an award for humanitarianism. I have launched a campaign in the House to restore the original language of HR-390 and will keep you updated as to the progress. Young girls pick up diapers for their family. 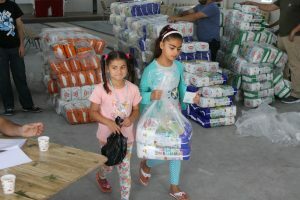 Diapers manufactured in Turkey: For the last two years, every three months the Diapers for Refugees program has purchased 160,000 diapers for infants in Christian refugee centers in the Kurdish area of Iraq (where almost all Iraqi Christians of the Nineveh Plain fled from the ISIS onslaught). Now, the Turkish government has threatened to close the border with Kurdistan because of the September 25th “independence vote” by the Kurds! We buy the diapers from a wholesaler in Duhok, Iraq which is close to the Turkish border, and truck them to our warehouse in Erbil for distribution during each three month period. About 90% of retail goods, including food, that are available in Kurdistan are imported from Turkey. The Turkish government has promised that once they seal the border with Kurdistan, that “humanitarian aid” will still be allowed to cross. We hope and pray that this will be true! Will the Turks allow the diapers to be shipped to Kurdistan? 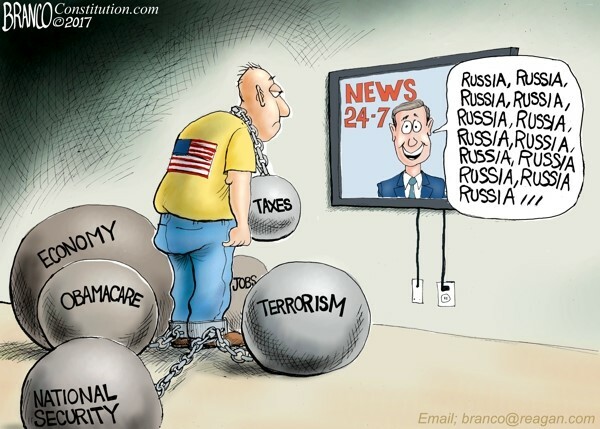 I do not know, but I am sure of one thing …. if there is a large price increase we will not have the funds available for the December distribution. It was probably a mistake for me to announce in July that the program was paid in full for the year — because nothing is ever for certain in the Middle East. Matching Challenge Program begins: October officially kicks off our all out fund-raising campaign for Christmas for Refugees. The budget set for the program is $350,000 for all three nations in which we operate the program — Jordan, Lebanon and Iraq. The Matching Challenge program, which was begun by a Christian businessman two years ago, has really helped our fund-raising efforts for Christmas. This year the Matching Challenge fund has reached $55,622. This amount was set aside by sixty-four of the most generous supporters of the Religious Freedom Coalition. Under the rules of the program, these funds cannot be accessed until a matching amount of funds is received. Literally this means the $55,622 cannot be used for the program unless another $55,622 is raised. If we raise the $55,622 in new donations, that amount will be instantly transformed to $111,244 ! The rules of the Matching Challenge program also mean that a new donation to the Christmas for Refugees program will be doubled using the proceeds in set up. Fully utilizing the funds from the Matching Challenge program would be a huge blessing because as of now the Christmas program is $158,359 short of the budget set for 2017. If the full $111,244 is released to the Christmas for Refugees program, we will be less than $50,000 from the total goal! We hope and pray that the remaining funds may be raised by “social media” such as Facebook, Twitter and funds received at our Internet site, as I do radio and TV programs about the Christmas program. Last year the Christmas program received several thousand dollars after I appeared on Fox News talking about the program. However, nothing is ever for certain about the media, and there is no guarantee that I will be able to appear on any national programs this year. Mike Huckabee has a new show on the Trinity Broadcasting Network and I hope to be able to appear there. Please pray that I will get the opportunity to appear on programs such as his which are influential in the Christian community. We must meet at least the goal of $350,000 because there are dark clouds in Iraq! Major problems for our Iraqi missions programs: The general manager of the ministry that carries out our programs in Iraq is currently in the United States and may not be able to return to his base in Erbil except by dangerous means. Maher and his wife (for security reasons I cannot use last names) arrived in the United States on a special visa the last week of September. The purpose of their travel was to speak with the various ministries in the United States who support them and their organization in Erbil, which is located in the Kurdish region of Iraq. Bottom line: The airline tickets Maher and his wife have to return to Erbil are worthless. They can, at a cost, change the tickets to fly into Baghdad but then would have to make a very perilous journey of 400 kilometers from Baghdad to Erbil by ground transportation. Currently the routes go through areas that are not totally safe from Jihadists and bandits. Please pray for Maher, his wife and all of those associated with the ministries he leads — they work so hard to minister to the persecuted Christians of the Nineveh Plain. How will our Christmas program be affected? : This will be the sixth year of RFC’s Christmas program. This year will be our sixth year in Jordan, our fifth year in Lebanon and our third year in Iraq. Each year I have been in each country where events were held, to oversee the program. Please pray for the Christians of the Nineveh Plain, particularly the children who have suffered so much already!